I sharpening knives and my speciality is kitchen knives but I sharpen all knives such as folder, hunting and tactical knives. I don't sharpen lawn mower blades or saws, I am focused solely on knives. I titled the article as such because it is a question I have had a few times and very recently. First off, I don't think we can say "what is best", they both have there places and work well together, you can have Sharpening without Steeling, but you can't have Steeling without Sharpening, think about that. Here is a link to the best honing video ever made and it was created by a man I admire, we have different approaches to keeping knives sharp but his video on honing is excellent. Nate Ouderkirk has a website called KitchenKnifeGuru. "My mission is simple: Teach every living thing how to keep their kitchen knives sharp. Sharp is fast. Sharp is fun. Sharp is the key to kitchen happiness. Find a professional knife sharpener, view a video on how to hone, or read a highly opinionated blog post on the latest kitchen gadget—it’s all here!" Nate and I met a few years ago via email when I replied to a post made about knives. Nate has told me that he can keep his knives sharp for years just by honing. At first I was very sceptical about that, how can that even be possible? However, what if Nate and others as skilled at honing as he is, is so meticulous about the process that he is indeed able to do it? Let's talk about both steeling and sharpening and how I think the two process when used together can and will work. A Steel, or Hone whether it is made of steel or ceramic like the awesome one in the picture above has one purpose, to push fatigued metal back into place, back into the centre of the blade because through use, normal use, the Primary Edge, that very thin and sharp strip of metal has shifted a little and it can be just in little spots along the blade. So that hone when used like Nate uses it, can gently push it back into place and thus, keep the knife sharp. However, in order for this whole process to work, one needs to do this frequently, every day perhaps, before you cut something. This way, your hone does not have to move a lot of metal, maybe just a millimetre or two that has succumbed to the pressures of everyday life in a kitchen. 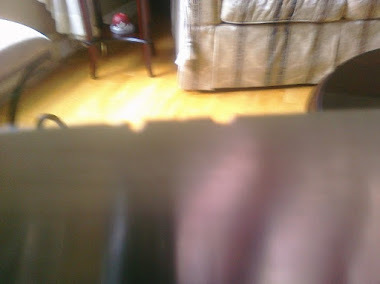 If you hold your knife with the edge facing up and under a good light you can actually see the metal that has shifted reflecting in the light, your light is like a Dull Scope, it can find the tiny pieces of metal that don't want to play anymore. Steeling is only effective if it is done correctly and frequently and I mean, very frequently. By correctly, this implies correct angle and pressure and the correct hone. So does this mean you can keep your knife sharp, i.e. not have to get it sharpened for years if you Steel a knife properly? I think that may depend on your perception of sharp or level of sharp that you are happy with, I don't think a knife has to be surgery ready sharp but it does need to be able to slice a tomato effortlessly every time, without bending the tomato before the edge bites into it. If it can't do that, your steeling is not effective. What's the problem with sharpening a knife every day, instead of steeling? 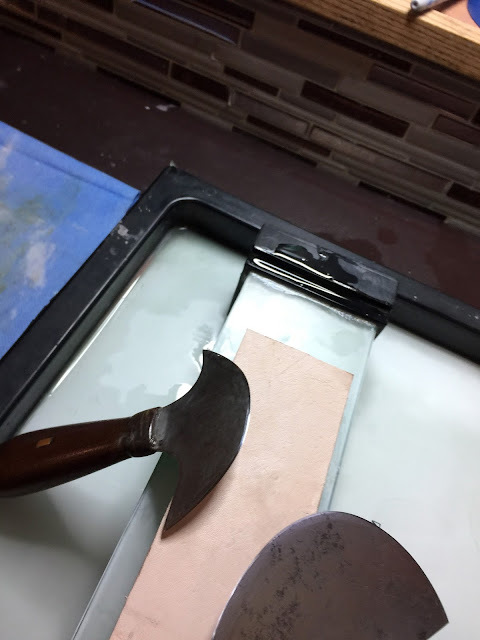 The problem is that sharpening involves the removal of metal from the edge, thus, over time, your knife is changing it's shape, and we don't want this to happen prematurely, we all want to get a lifetime of use from a knife. For me, it is possible to keep a knife razor sharp using both a hone or honing process and a sharpening process without it having a negative impact. This may surprise some but I don't use a Steel (rod shaped hone) to keep my knives sharp, I use a water stone. 1. I start with a razor sharp knife, I mean a knife that will absolutely thrill anyone who uses it. 2. 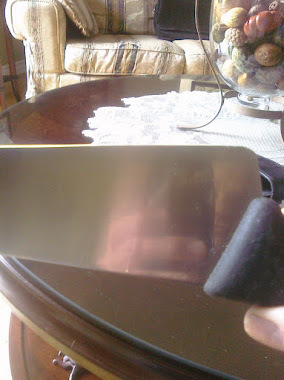 Every 3 days, or before use, using a 2,000 to 5,000 grit Japanese Water Stone, I maintain/hone the knife. I use extremely light pressure to very gently force that fatigued metal either back into place or, if is very weak, it may just come off from my actions on the water stone. I am not trying to form a burr or sharpen the knife, just to keep it sharp. 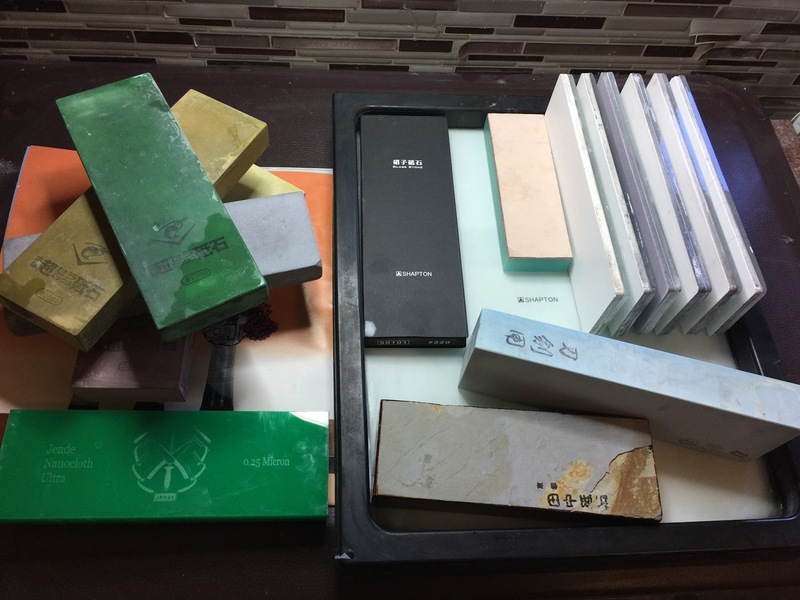 I see my water stone as a rectangular hone. I use trailing strokes only, it's like stropping the knife on a leather strop, it is very focused and methodical work. I don't want to remove any metal that is not ready to be removed so my pressure is very light, it isn't grinding pressure it is honing pressure, it is a very quick process, one to two minutes. 3. When my standards of sharpness for a particular knife fall below my happiness level and my honing process is not doing the job any longer, then I will simply increase the pressure to remove the metal that is causing the knife to be duller than I would like it to be, I put my Sharpening Hat on and take my Honing Hat off. The difference here is that I am using a whetstone to maintain rather than a "rod" but it is still honing. 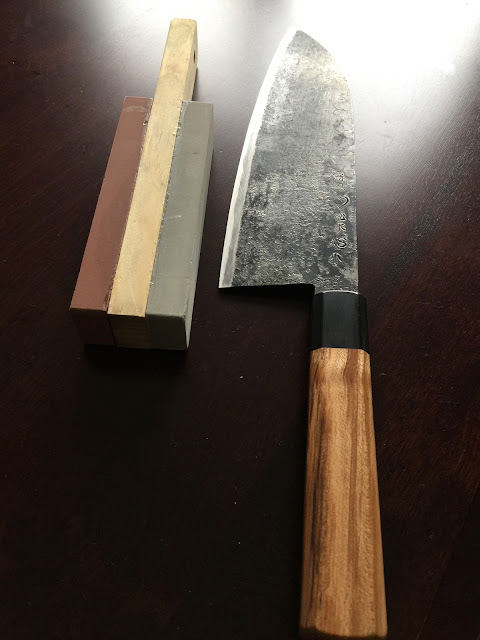 In my opinion, this is the optimum way to maintain a knife, because it also builds muscle memory as the honing angle is the same as the sharpening angle. The key to sharp heaven and to keeping your knives around for an eternity is regular and proper maintenance. In my world, I get knives every day that are dull, they have gone well past the point of honing the knife to get it sharp again, that opportunity passed by many years ago in most cases. So sharpening the knife is the only alternative here. 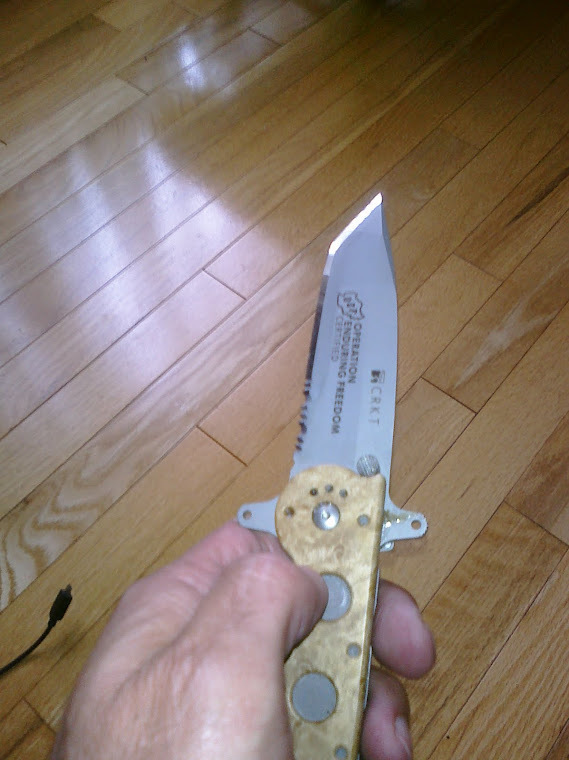 Buy a nice Hone and take your dull knife out of the drawer of shame and think you can sharpen it. The steel is unable to remove the metal properly, it wasn't designed for that. 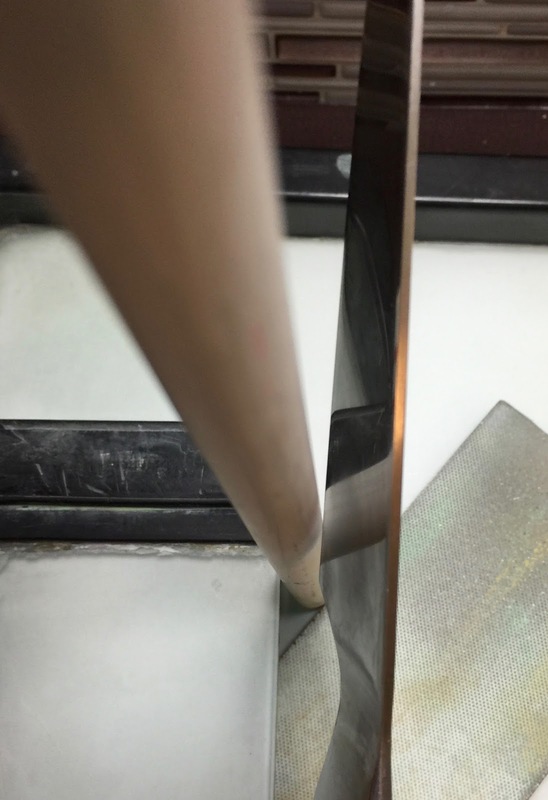 Yes, there are some diamond steels that can remove metal but do are you able to hold that diamond steel against the primary edge at the exact spot until a burr is formed on both sides and then to remove that burr and refine the edge with a single diamond hone? No, it isn't possible, this isn't the easy way out. Purchase a nice ceramic hone, it has a much finer grit, will last forever and will do a much nicer job. This is not to imply that even the best ceramic hone has the capability of making a dull knife sharp, it just cannot do that. However, it is much more enjoyable to use and you can purchase them online relatively inexpensively. I really hope that this helps and makes it clear that I am not against Steeling, I think it is great, it's necessary. My problem is that I very very rarely see it done correctly. So when it is not done correctly it is a counterproductive process, it is useless and can damage the knife over time. When I see the celebrity chefs on TV slapping the knife against a Steel it really pisses me off, it is misleading. I am very passionate about what I do, if you don't agree with me that's fine but keep in mind that this is all I do, I think about knife sharpening and the best way to keep a knife sharp every single day. This of course does not mean that I have all the answers or that I am always correct, of course not. I will now put some pictures here because I just like that, I like looking at other photos like this so maybe you do as well. Thank you for being here, it is very very humbling for me. Another excellent post. Since going on my sharpening journey a year ago, I've kept up to date viewing your posts. Honing does work well if you do it properly. My hone used to be in the rack for decoration, now I use it frequently. Keep them posts coming. yes thanks for the motivation. I am working on a very long article at the moment, almost done. 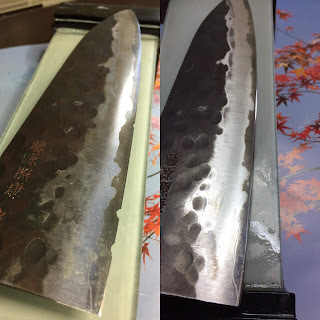 Still Worth it - Japanese Knife? What if you run into a sharpening snag? Picture Window theme. Theme images by RedHelga. Powered by Blogger.